Cherry Bitez can be found at Molenstraat 25. A classy boutique with a beautiful front door offering contemporary and feminine, elegant dresses serviced with personal, customised advise. All dresses have been created by female designers from countries as the UK, the United States and Australia. 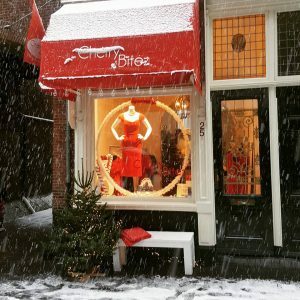 The boutique offers unique dresses in The Hague for events as weddings, receptions and other festive occasions. Additionally, they offer high-quality dresses for office as well as daily wear. All dresses are designed to fit beautifully on the female body; any shape and age. Visit their boutique and experience the personal joy and effort to find you the flawless fitting dress for your shape! Their vision: The WOMAN defines the dress, never the other way around. 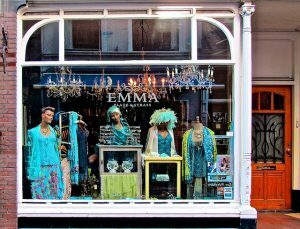 Emma Jewels & Strass can be found at Molenstraat 22. Her shop is a subtle mix of old and new. You will find all accessoires for party’s, weddings etc. A very big collection of romantic jewellery from the brands: Camps & Camps, Ayala Bar, Michal Negrin, DeLuxe, Les Nereides and Moliere etc. Also shawls, fascinators, small party bags, vintage clothes and costume jewellery. And nice old chandeliers from France. Hout Sage at Molenstraat 21B sells wooden toys with a story. Stories about endless fun for children from the old days till now, typical Dutch products, sustainable toys and vintage brands. In their opinion good toys are: safe, fun to play with, challenging and encouraging and sustainable. These elements you will find in wooden toys, that’s why this is the base of our collection. Are you looking for a present with a good and interesting story? 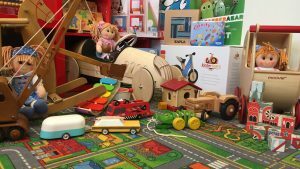 Visit their shop for attractive wooden toys, small presents, games and puzzles for all ages. The Regent is run by Erna & Teun who started The Regent out of love for English gentlemen’s clothing. A purchase at The Regent starts with the most important factor to us…you! They take great pride in delivering the highest level of service. They offer a wide selection of clothing within their ready-to-wear collection, which is built on three pillars. Quality, exclusivity and affordability. With this in mind, they have built a collection for everyday use with both a casual and business setting in mind. They work with several small manufacturers to ensure the quality and exclusivity of our ready-to-wear collection. If you have specific wishes or a ready-to-wear item just isn’t your cup of tea, they can offer you a broad made-to-measure program. In this case, you have full control over the fabric, the model and the cut. They are here to help you through the process of creating your dream piece. 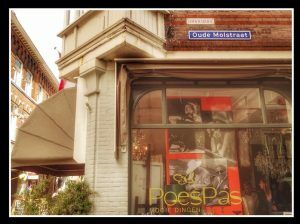 PoesPas at Molenstraat 24a is a small shop full of special, beautiful and quirky curiosities. Serendipity all the way! At PoesPas you will find everything from unique lamps to jewellery and an exclusive yet extensive collection paintings and remarkable black/white pictures of yesteryears 50ties & 60ties icons. ‘PoesPas’ means to each his own….hence everyone will find their own special piece, just right for their specific interior and taste. 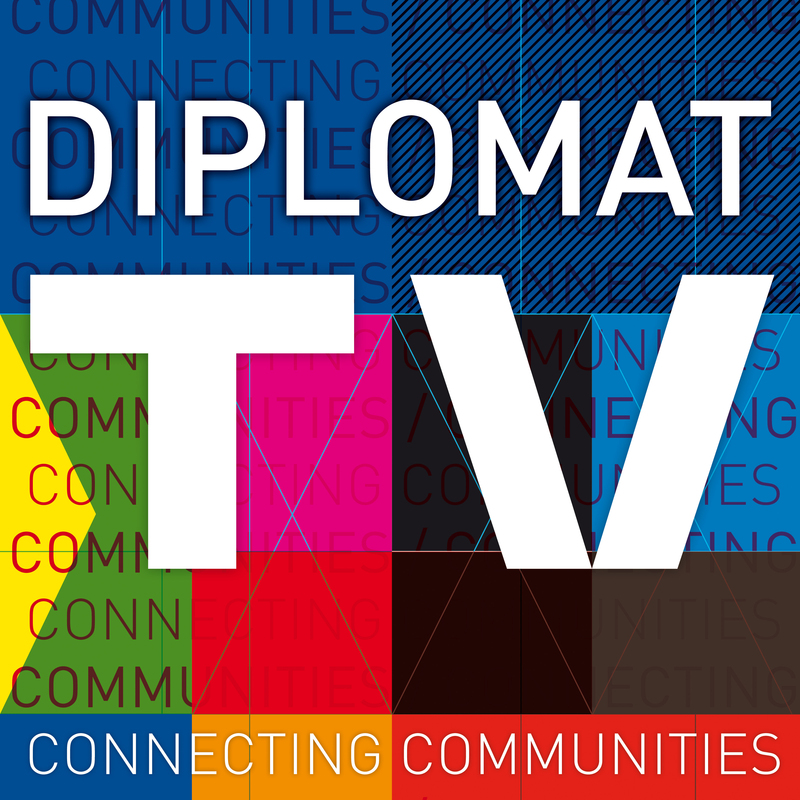 French music station FIP playing, and its chansons give the Molenstraatt it’s French allure and atmosphere. Visit PoesPas and find your serendipity. 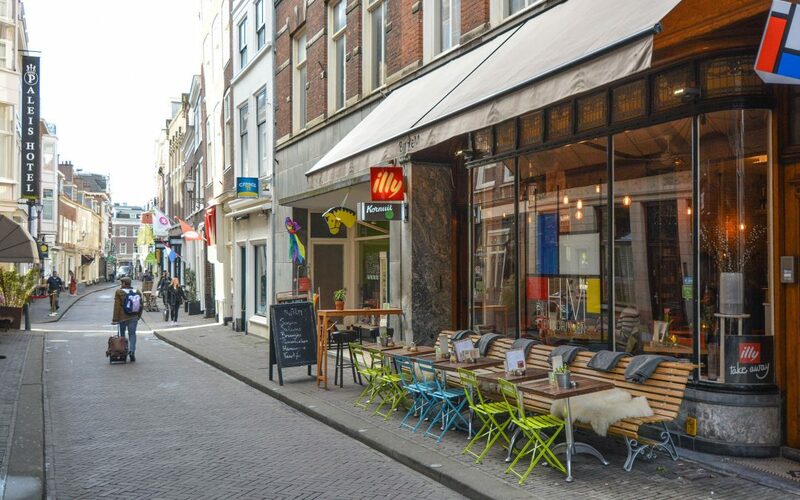 A visit to the Fair’s Molenstraat will surely make you want to drop by the real one soon!